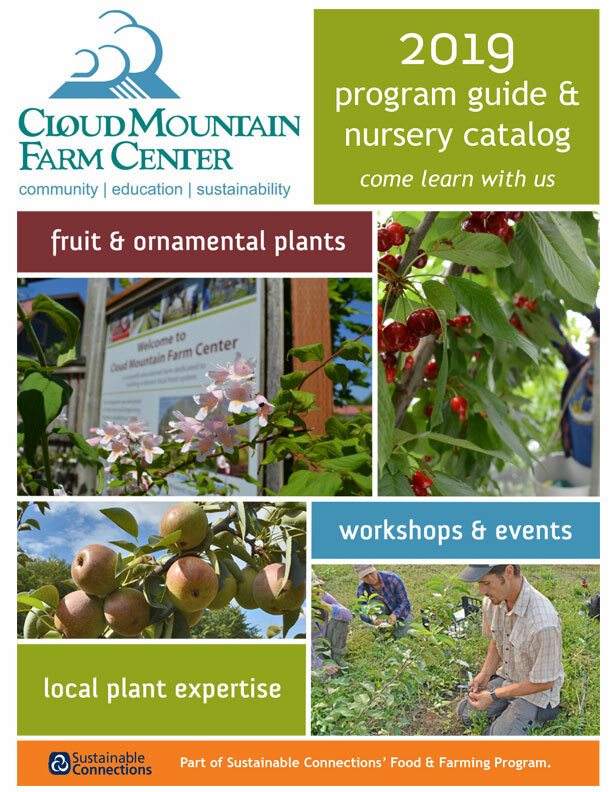 It’s summer fruit time, with strawberries at their peak, cherries just starting to ripen, currants and gooseberries turning color and raspberries on the horizon. I’ve had a couple of calls lately about worms in various berries last summer and how to prevent them this summer. The worms are most likely the larvae of Spotted Wing Drosophila, a non-native fruit fly that lays its eggs on just ripening berries and cherries. The flies are a little less than 1/8″ long, and the male flies have distinctive markings on their wing tips. The point where the female fly laid her eggs can often be seen on the fruit as a darkened mark, or a “sting”. The eggs hatch in the ripening fruit, and the maggots feed inside the berry. At first the maggots are tiny, but grow as they feed. If the berries are picked after the eggs are laid, the maggots will continue to develop even if the berries are refrigerated. Very high ‘ick’ factor if the maggots get to be full sized, about 1/8″ inch long. When the larvae are mature, they will exit the fruit to pupate. 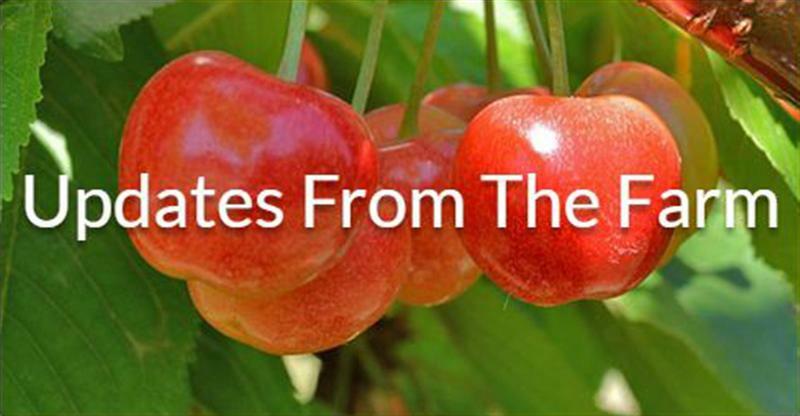 What can you do to protect your berries and cherries? You can use traps to monitor for flies, but it is also important to observe your fruit regularly as it begins to ripen. In some cases, this will allow you to harvest before problems are serious. A vinegar trap can be made from old salsa containers, clear plastic beverage cups, or clear plastic water bottles. Drill a series of 3/16″ holes around the container, and a couple to put wire through to hang the trap. Add about 2 inches of apple cider vinegar (not flavored vinegar) and a couple drops of dish soap. Hang the traps before the fruit starts to change color (pink). Monitor the traps a couple times a week for the flies.Look especially closely for the markings on the wings- these marking distinguish the SWD from other fruit flies. 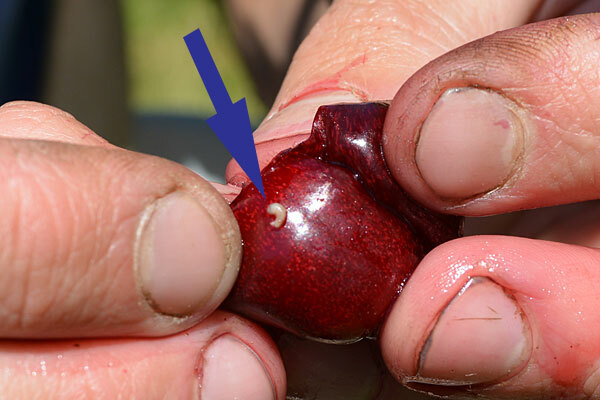 Start checking cherry or blueberry fruit for damage (i.e., prematurely rotting fruit or punctures created when the female lays eggs in fruit) as soon as fruit begins to develop any pink color. SWD stings are tiny, so a magnifying glass will help you see them. Break open suspect fruit to see if small, white larvae are inside. If you find infected fruit you should either harvest all the fruit immediately or spray to prevent the damage from increasing before harvest. Remove and destroy infested fruit as you monitor- bag and put in garbage, not compost! Here at CMFC, we use organic spray options to help control SWD. The first is using OxiDate 2.0 fungicide (BioSafe is another brand name) just as the fruit is ripening- this product is a combination of hydrogen peroxide and peracetic acid. This product removes the yeast bloom that occurs on most soft fruits, making it more difficult for the flies to find the fruit. 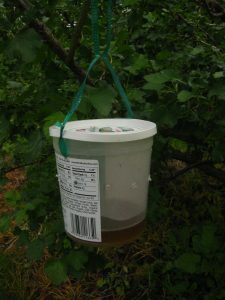 We also hang vinegar traps to monitor for the flies, and when we find them, we spray spinosad or a neem product like Azagard. Because fruit flies have a very short life cycle, it is important to monitor and spray often. Each female fly is capable of laying 300-350 eggs, so populations can explode pretty quickly! A final note on SWD for the home gardener: check your fruit often for stings, use vinegar traps to monitor, and pick your fruit often as it ripens. Freezing fruit as soon as it is picked will kill any eggs or developing larvae- if you can get past the “ick” factor, the fruit will not hurt you if it has a little extra protein…. 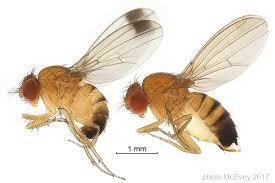 Two less common pests can also be found in summer fruit- Western Cherry Fruit Fly and Gooseberry Maggot. Both of these are sawflies (like apple maggot), and are fruit specific. If you’ve found maggots in a variety of berries and cherries in your garden, it’s most likely SWD.